There were no major surprses as the third round of the senior hurling championship was completed with title holders Cratloe, Crusheen, Kilmaley and Newmarket booking their places in the last eight where they will be joined by Sixmilebridge, Clonlara, Ballyea and Clooney-Quin. Michael O’Neill contributed 1-4 from play for Kilmaley in their six point win over Inagh-Kilnamona(1-20 to 1-14) on Saturday evening. Kilmaley lost centre back Conor Cleary with a leg injury early in the second half. A surprise looked to be on the cards when Eire Og led by three points against Crusheen at half time on Sunday but Crusheen dominated the second period outscoring the town side 0-11 to 0-4. 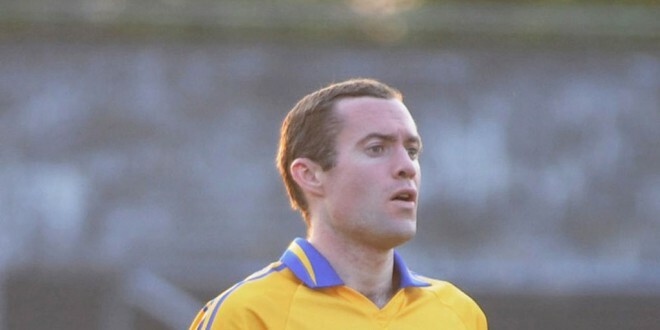 Fourteen points behind at the three quarter stage, O’Callaghans Mills looked to be heading for a heavy defeat from champions Cratloe when the teams clashed at Cusack Park on Sunday evening. However, the Mills put in a storming finish which yielded a hat trick of goals from Adrian Donovan after he was switched from full back to attack but these scores weren’t enough to prevent his side from going out of the title race. Cratloe were 3-19 to 3-14 ahead when the final whistle sounded. A seven point winning margin is flattering to Newmarket who accounted for Tulla in the final game at county headquarters on Sunday evening. The teams were level on five occasions up to the last ten minutes when a free for all involving several players from both sides resulted in the dismissal of Sean Torpey (Tulla) and Stephen Kelly (Newmarket) on straight red cards. Just a point separated the sides with four minutes remaining but in the remaining time, Newmarket hit six unanswered points to seal their place in the last eight. In the senior relegation play off Feakle and Whitegate secured their senior status for next season when beating Clarecastle and Tubber respectively. Feakle had ten points to spare over the magpies while Whitegate were one point winners over Tubber. Clarecastle and Tubber will play off to decide who will drop down to intermediate for next season. Killanena have secured their intermediate status for next season following a one goal win over Ogonnelloe who must wait to find out who they will play next in their battle to hold onto their status after Crusheen and Cratloe drew.